House in Milanosesto - concorso di progettazione per residenze convenzionate "Aree ec Falck e scalo ferroviario"
Organised by Bizzi & Partners Engineering, Milanosesto spa and CNAPPC, the open competition seeked a design proposal for a new building complex to accomodate 12500 sqm of social housing and 1000 sqm of retail spaces as part of the masterplan designed by Renzo Piano Building Workshop for the ex industrial site “Falck” in Sesto San Giovanni. Our research focused on the idea of breaking down the massing of the high density urban block in order to give a specific character to each building. 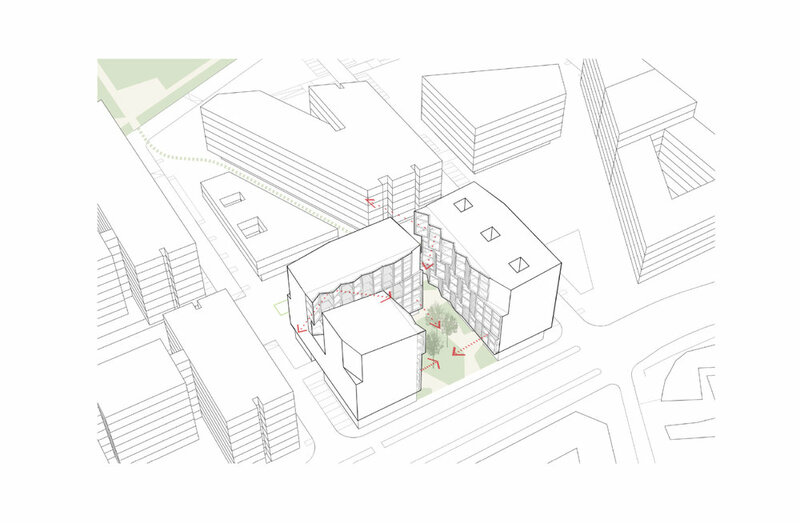 Insted of a U-shape introverted building, we designed an open cluster of three buildings sharing a green and livable courtyard. 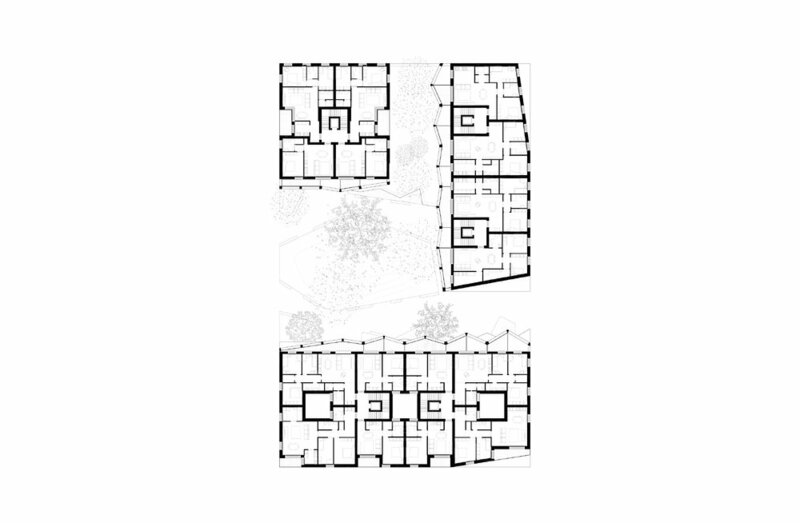 Each building has its own typological arrangement, one with a deeper floorplate arranged around its voids, the other one with flats spanning from side to side and the last one with larger flats accomodated in a tower-like building with the central core. The elevations facing the courtyard have been designed in order to give each flat a decent exterior view. The screen, becoming an interface between the housing units and the courtyard, changes from a flat to a “corrugated” configuration so that the flats at the lower levels have a direct relation to the garden while the exterior view of the flats at the higher levels has multiple orientations towards the dynamic skyline of Milan.